All Photos are the Copyright © of Kenneth Hodgson. If you would like more information please come along on a Tuesday morning and have a chat with us over a cup of coffee. 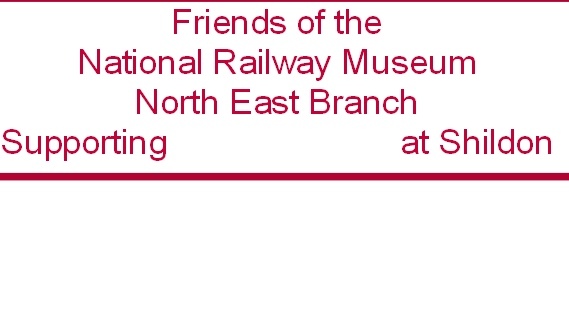 FRIENDS OF THE NATIONAL RAILWAY MUSEUM NE BRANCH TRIP TO HITACHI FACTORY. At 4pm on November 7th the Friends gathered at Locomotion and the first cohort set off to the Hitachi factory. We arrived a the gate and were pleasantly told where to park and where to assemble. After signing in electronically we were issued with protective shoes, safety glasses, a hard hat and hi-vis jacket. Faye was assigned to take us onto the working floor. The new mainline power car was our first stop and we were privileged to go inside before it was sent to Doncaster for an LNER makeover. Next we were in and out of the suburban line trains that were destined for Scotrail. Although the inside fittings on both models were yet to be installed it was obvious that a tremendous amount of care was being taken in the construction. The factory was massive but very neat, tidy and efficient. Our trip was a success, thanks to the Hitachi guides and workforce who had no qualms in answering questions. The second cohort of Friends will be going in December and should enjoy the visit as we did.